The Criminal Cases Review Commission (CCRC) has said it will review a murder case in which a teenager was jailed for life for taking part in a gang attack. 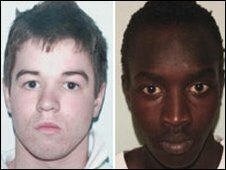 Sam Hallam was 18 when he was jailed for life in 2005 for murdering chef Essayas Kassahun, 21, on St Luke's estate in Clerkenwell in October 2004. Hallam, of Hoxton, east London, was part of a 40-strong gang which attacked the victim, the Old Bailey had heard. The review comes after new witnesses suggested Hallam was not at the scene. A CCRC spokesman said: "We can confirm that Mr Hallam's case is now under review by the Commission." The decision to review the case came after the Independent reported statements of seven new witnesses which suggest Hallam, who is now 21, was playing football and not at the scene of the crime. Hallam's family has been claiming his innocence in a campaign since his sentencing when he was ordered to serve a minimum of 12 years. The CCRC has the power to investigate alleged miscarriages of justice and to decide whether convictions should be referred back to the Court of Appeal for review. The gang armed with spiked bats and knives attacked Mr Kassahun, 21, who jumped in the fight to help his friend who was the intended victim, the jury heard. The chef was stabbed in the head and died two days after the attack. Bullabek Ringbiong, then 20, from Hoxton, was also jailed for life for the murder and told to serve a minimum of 15 years. Another man, Scott White, 17, also from Hoxton, was convicted of conspiracy to cause grievous bodily harm and was sentenced to eight years youth detention.